This Mother's Day weekend (12-13 May 2012) saw more than 900 football and netballs clubs from around Australia participate in BCNA's annual Pink Footy & Netball Day. Click here to view the photo gallery! Clubs across every state and territory seized the chance to turn their matches pink - from ovals, courts and canteens to clubhouses and even whole towns, pink was the theme for the weekend! From all the team at Breast Cancer Network Australia (BCNA), we would like to thank all those who participated in Pink Footy & Netball Day, and for helping us raise awareness and funds to support women and their families affected by breast cancer. Your support is really appreciated and will help us continue our important work. Pink Footy & Netball Day is a great way for sporting communities to pay tribute to Australians affected by breast cancer. Celebrated over Mothers Day weekend, football and netball clubs around Australia turn HOT PINK during their matches and raise funds and awareness for Breast Cancer Network Australia (BCNA). It's easy and fun, and together you'll be making a difference! Clubs who registered to participate in Pink Footy & Netball Day were sent a free event pack that contained a range of items to help run the event. Any football or netball club, league or association across Australia can participate. Your event can be held on or close to Mothers Day weekend 12-13 May 2012. Turn your club HOT PINK to show your support for Australians affected by breast cancer! Pink footballs and netballs are available for purchase, along with a wide range of fun pink items for your club to wear. 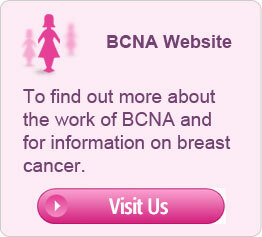 You can also choose to sell merchandise at your event, with all proceeds going to support BCNA's work. To raise additional funds and awareness for BCNA consider organising activities such as sausage sizzles, raffles, fundraising evenings, or hosting an auction featuring a prized pink ball! For more fundraising ideas, click on fundraising on the above menu bar.